Only a year after 'Humanz', Gorillaz are sounding invigorated and exciting with a handful of synthy summer tracks to wet your appetite. Depending on who you ask, 2017s Humanz was either a fun and exciting album full of guest vocals, or a bloated Albarn-produced album with the ‘Gorillaz‘ brand slapped onto it. It was most certainly divisive. Whilst many of the tracks were of good quality, the tracklist was overly long and full of unnecessary intermissions. Albarn seemed all too keen to pass the spotlight to other artists such as Rag’n’Bone Man and DRAM which left the album feeling like an offering that lacked the heart of previous Gorillaz releases, with the actual virtual members of Gorillaz swept aside. For many this was disheartening, especially given the pioneering music Gorillaz had been producing before entering a seven year long hiatus in 2010. In The Now Now, Damon Albarn makes a concerted effort to address these criticisms, with a much shorter and more concise tracklist and a focus on himself (and his virtual counterpart 2-D) at centre-stage. The opening track ‘Humility‘ is a breezy and relaxing track with lyrics that reflect on the nature of loneliness, a vast improvement on the often messy political lyricism found within Humanz. This leads directly into the track ‘Tranz’ which proves to be one of the albums best despite not being promoted prior to release. ‘Tranz’ is a highly enjoyable piece with a hypnotic beat and similarly straightforward but enticing lyrics, again from Albarn. ‘Sorcererz’ is another standout track that benefits from Albarn’s more relaxed and focussed approach to this album, to produce a funky, upbeat track to rival the first single ‘Humility’. It is in the second half where the album begins to falter, with the tracks beginning to seem more meandering and less memorable than those that came before. The popping, catchy songs mentioned above begin to give way to slower more introspective melodies such as those found in ‘Magic city’ and ‘One percent’ that lack the interest of the other offering and thus, fall by the wayside. Thankfully, the closing track ‘Souk eye’ seems to course correct the album somewhat with a slow guitar section slowly progressing into a disco-inspired number that closes the album with style and neatly wraps around to the more electronic sound of the first few songs. This also chimes wonderfully against Albarn’s haunting vocals “I will always think about you” that mix beautifully into the slower parts of the song. The album is most easily compared to 2010’s The Fall, which similarly came shortly after another big album and was mostly recorded on the road whilst Albarn was touring, evidenced by several tracks named after locations. But whilst The Fall was largely forgettable after the widely celebrated Plastic Beach, The Now Now represents a more favourable change from that found in last years Humanz. The album oozes with energy and passion without compromising the ideals of Gorillaz as a virtual band with an ongoing storyline. 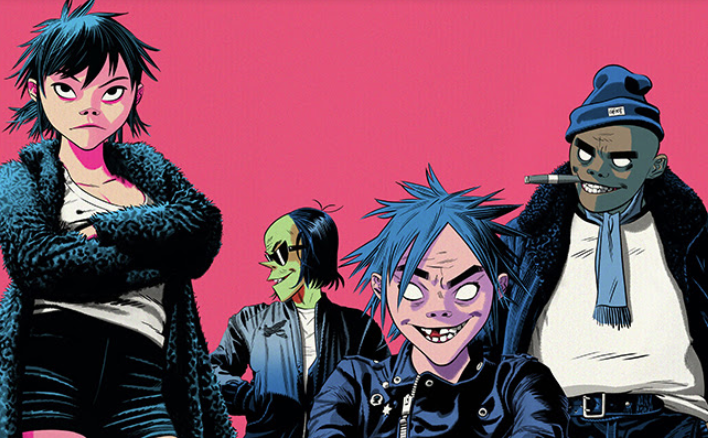 Despite some misses, The Now Now is an exciting collection of tracks that steers Gorillaz back in the right direction, opening up interesting avenues for future music. The Now Now is available now via Parlophone records.